There is a lot of buzz going around regarding CBD and it’s many potential health benefits, including reports of CBD for depression. I wondered if taking a CBD supplement could really help someone who is depressed, so I decided to take a deep look into the published research on CBD for depression, how it may work, and if there is any truth behind the claims that taking CBD for depression could actually be beneficial. This is the first of a ten part series of HealthyTOKYO articles I will be covering on the potential benefits of CBD according to published research. CBD or “Cannabidiol” is a chemical compound known as a cannabinoid derived from the Cannabis Sativa L. plant. This plant is probably familiar to you by one of the members of the cannabis family, marijuana. However, don’t let the fact that CBD comes from cannabis put you off, as it is a non-intoxicating component of cannabis and different from the other cannabinoid in marijuana, THC, known to produce the high effect. 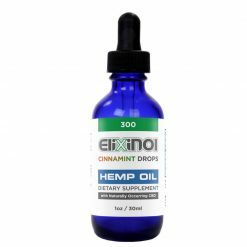 High quality CBD oil is actually produced from hemp plants bred to contain naturally occurring high levels of CBD. To understand the difference between CDB and THC we need to take a quick look at how cannabinoids affect the body. Within several areas of the brain and spread throughout other regions of the body are cell membrane receptors called Cannabinoid receptors. CDB and THC interact with these cannabinoid receptors differently, despite their same molecular structure, producing different results due to the way in which the atoms in their structures are arranged differently. There are two major cannabinoid receptors, CB1 and CB2, which THC can bind to and cause a high, but CBD shows very little binding affinity, if any, to either of these receptors. CBD is thought to interact with other receptors in the body, producing a plethora of possible benefits, one of which may modulate depressive symptoms. Before we continue with how CBD may be used beneficially, one question must be addressed. If CBD is sourced from a controlled substance like cannabis, doesn’t this make it illegal? The answer is not so straightforward, and brings us back to the Cannabis Sativa L. plant itself. As mentioned above, marijuana is one member of the Cannabis Sativa plant family, the other being hemp. 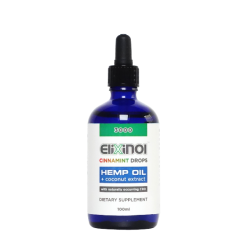 Hemp sourced CBD is currently sold throughout the United States and in an increasing number of other countries, In the US, it may contain only trace amounts of THC (0.3% or less), an amount nowhere near enough to cause psychoactive effects. Marijuana sourced CBD will often contain THC, and is purported to bring about even more positive effects when coupled together. As things currently stand, the legality of hemp sourced CBD in an over-the-counter non-prescription form is legal or tolerated in many countries. CBD oil is legal in Japan, but THC is not., thus, properly sourced and sold CBD products contain no THC at all. Now that we’ve covered a bit of background on CBD, let’s take a look at the claims of effectiveness around treating people with CBD for depression. In order to do so however, some clarification regarding depression and how it is currently understood is needed. Depression can affect people from all walks of life, men and women, young and old alike. General symptoms of depression include: loss of interest or pleasure in activities (anhedonia), trouble sleeping, lethargy, low self esteem and feelings of worthlessness, trouble concentrating and indecisiveness, suicidal thoughts, and continually occurring depressed moods. Depression can be very difficult to overcome, with both mental and physical hurdles. What research has been conducted on CBD for depression? There are a number of pre-clinical studies (studies with animals) that have produced promising results regarding the use of CBD in treating depression. Two particular trials have shown CBD to promote an anti-depressant effect in mice. 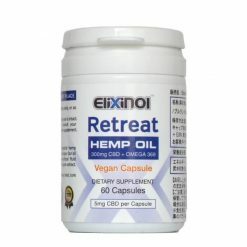 In 2014 a study conducted by Jose Alenadre de Souza Crippa at the university of San Paulo, Brazil, in association with colleagues at King’s college in London, found that CBD in high doses can directly activate the serotonin receptor 5-HT1A, thus acting as a potential anxiolytic (anti-anxiety medicine). Additionally, HelloMD conducted one of the largest studies on the subject of CBD in conjunction with Brightfield Group. The study surveyed 2,400 members of the HelloMD community by cataloging their knowledge and experience using CBD. The results revealed that the majority of the members had positive feedback concerning their use of CBD in relation to variety of maladies such as insomnia, joint pain, anxiety, and depression. Finally, I found multiple other accounts on health forums from people claiming that CBD helped them greatly as an alternative to antidepressants, or when withdrawing from antidepressants. On the other hand, there were also many voices that seemed to find no benefit from CBD at all. While there is some promising research that points towards CBD as a natural alternative to treating depression, the literature is still a bit limited. If you are already on anti-depressants and are considering supplementing with CBD, do not do so without first consulting a medical professional. If you would like to try CBD and you live in Japan, make sure to properly investigate the quality of the online seller you are buying from. In the United States, some producers of CBD oil include trace amounts of THC, which is strictly prohibited by law in Japan, so please insure that you are purchasing from a transparent seller that includes certificates and an analysis of their CBD products. If you have any questions about CBD or anything else health related, please do not hesitate to use of the site chat feature on the bottom right of the screen.